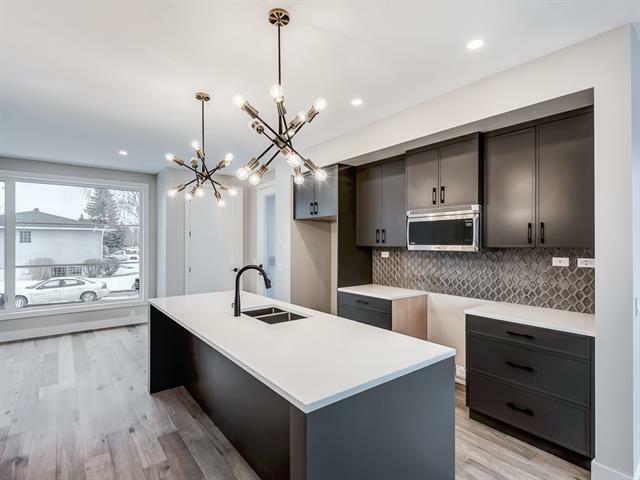 OPEN HOUSE SUN APR 14 FROM 2-4!! 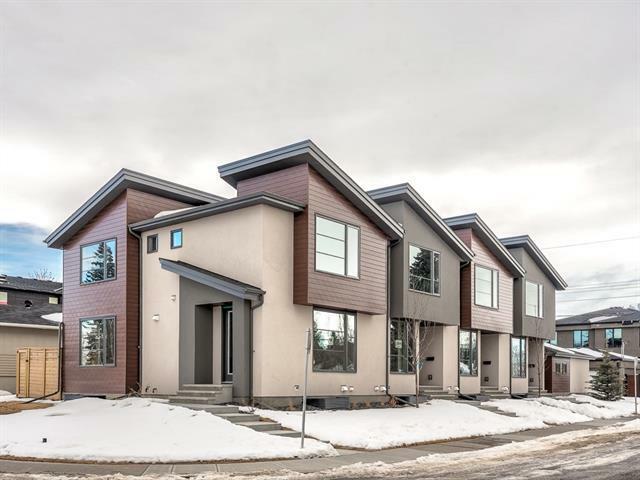 Welcome to Park Urban in Banff Trail - a modern and contemporary Executive Row Home built by Baywest Homes. 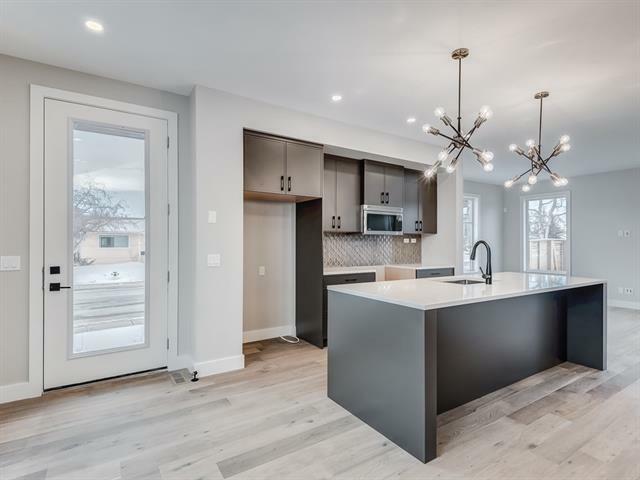 Located on a corner this wide open home has 6 white oak hardwood flooring flowing throughout the kitchen and separate dining and great room area. 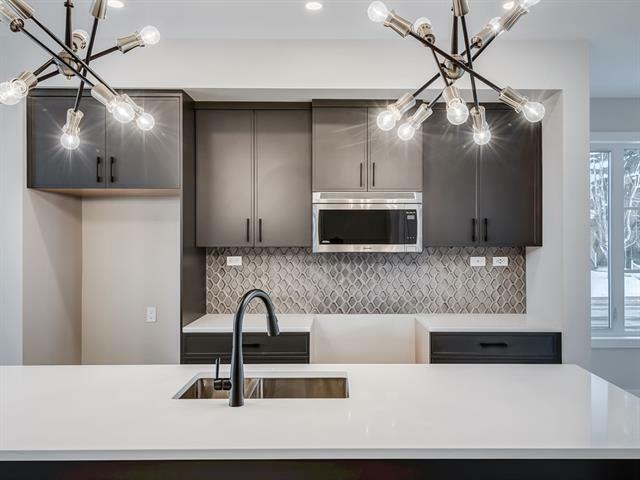 The kitchen is well suited with beautiful cool grey cabinetry and stunning full height backsplash, a central working island with white quartz countertops and stainless steel appliances including a gas range. The Great Room at the back of the home features a french door leading out to the fully landscaped back yard. There is a very cool glass wall going upstairs to the 2 master suites. Both with their own 4 pc ensuite baths. Laundry is tucked away on the upper floor as well. The lower level is fully developed with a rec room, 3 pc bath & bedroom.